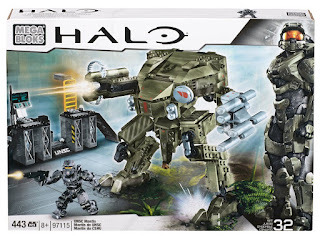 Continuing our discussion on toys to use for inspiration of illustration or other forms of creation, I wanted to start talking some building block sets. 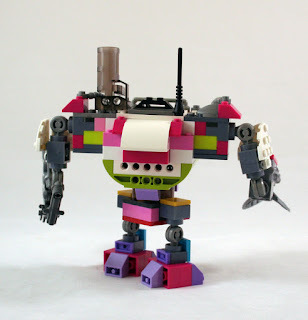 One could easily just talk about "lego" and be done. It is more or less the ultimate creation toy. 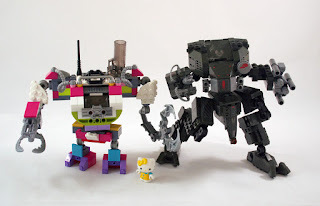 Since one of the main goals of this talk is to find ways to come up with robots or other sorts of machines, I wanted to talk about the set that pulled me in to lego again personally. When I had a kid I started going on a building block buying binge. I want her to have toys to explore her creativity. I knew it would be a few years till she could play with these, but as I saw sets on clearance or at close out shops like TJMaxx, I started picking up various sets. 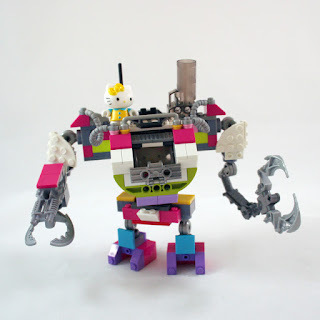 Everything from Hello Kitty, to Transformers Kreo. I am big in the mechs, so I decided to get the Halo Mantis kit for myself. At the time it was the only way to get a physical form of the design, and I am very glad I did. Mega Bloks did something very special with this kit, and I hope they continue this trend. 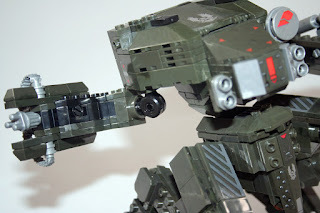 They came up with the equivalent of revoltech joints for building block systems. In other words they produced a ratchet joint that can bend, and rotate. 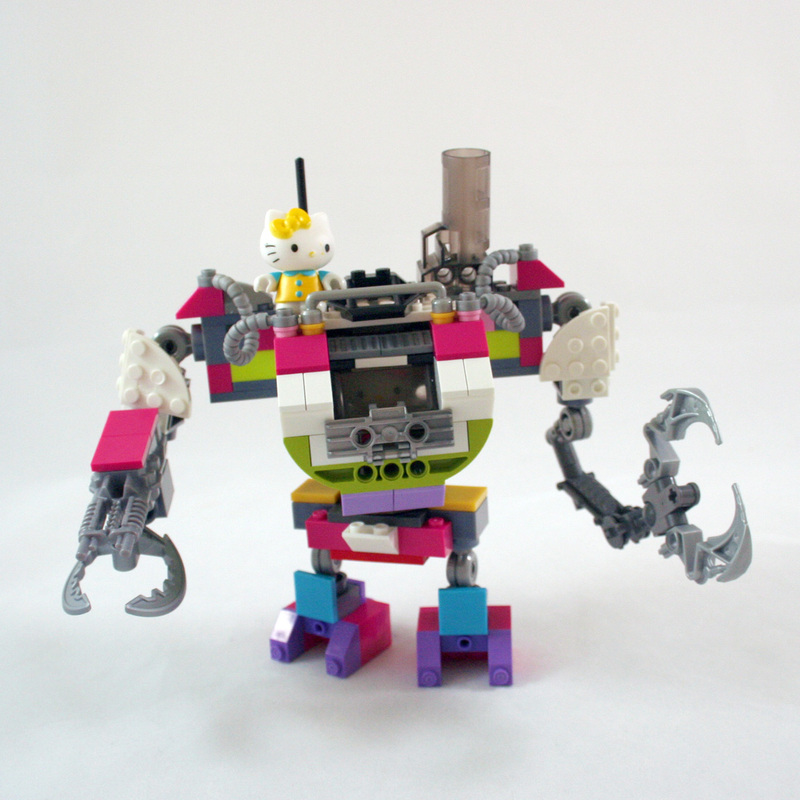 It is exactly what the robot builders needed. The other thing great about this kit, is the olive drab color that is perfect for military style vehicles. 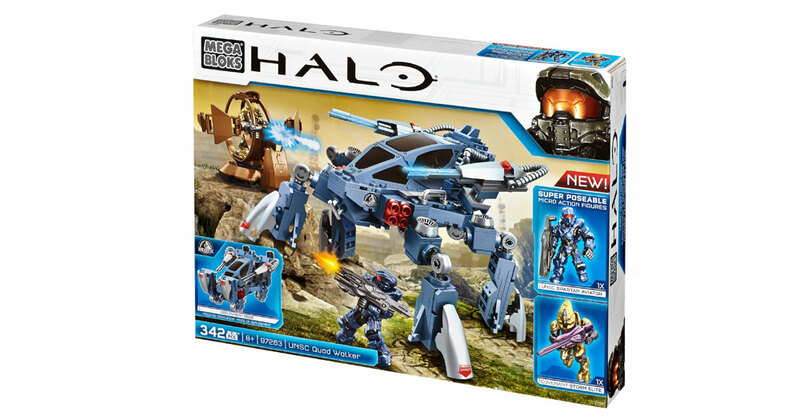 I decided to add another kit to this review due to being under the Halo brand, and using the same style of joints. 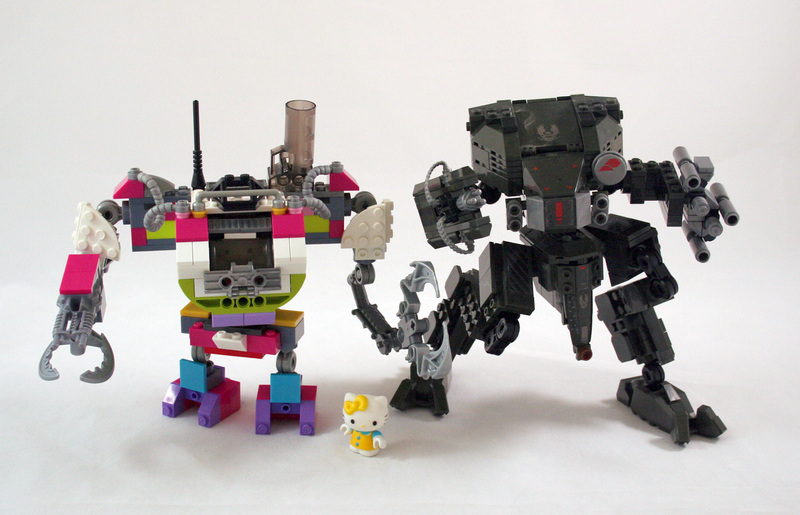 The quad walker also has a good color for robot designs, and has a good assortment of these joints. While I got my Mantis kits new on Amazon and TRU, I got the Quad Walker at Ross and someone had taken many of the parts out of the box. Luckily it had the joints which were the most important parts of the kit for my purpose. 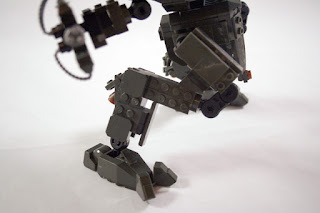 I did notice that some of the joints from the Quad Walker were not as nice as the ones from the Mantis kit. Some pop apart. They also have only one type of ratchet joint where the Mantis has a great double joint for the chicken walker look. One note is the blocks these go into come in a couple varieties as well allowing you to come up with different limb sections. You can see here where the joint has a 180 degree bend, as well as 360 degree rotation where it connects in the special blocks giving lots of possibility to the robot. Note the double joint at the knee. 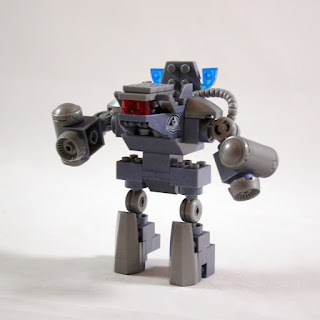 Since I did not have the full Quad Walker kit, I wanted to use what I had to do a quick simple bot. 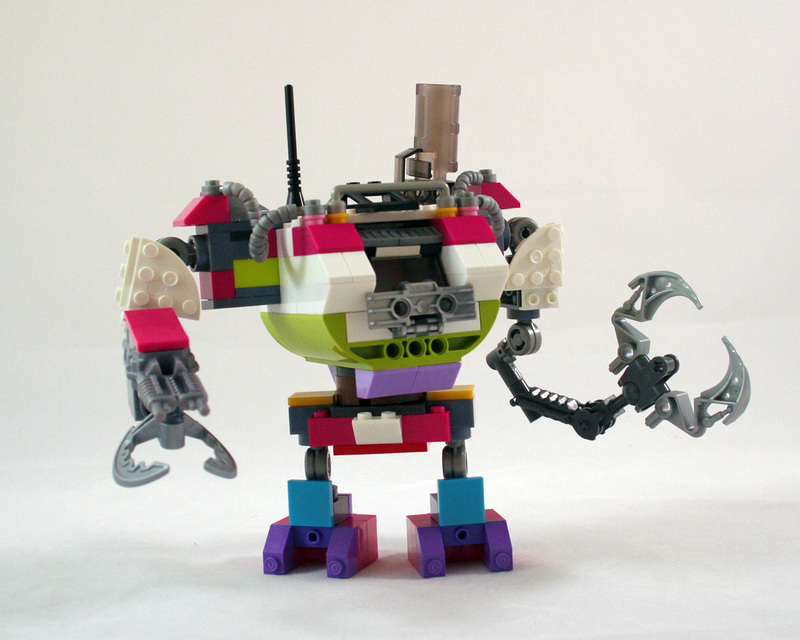 Going with the simpler design I am able to give the bot some character and make him a cute little machine of destruction. Like I said, I had been collecting a lot of building blocks lately, and a few of those kits have been for my daughter. 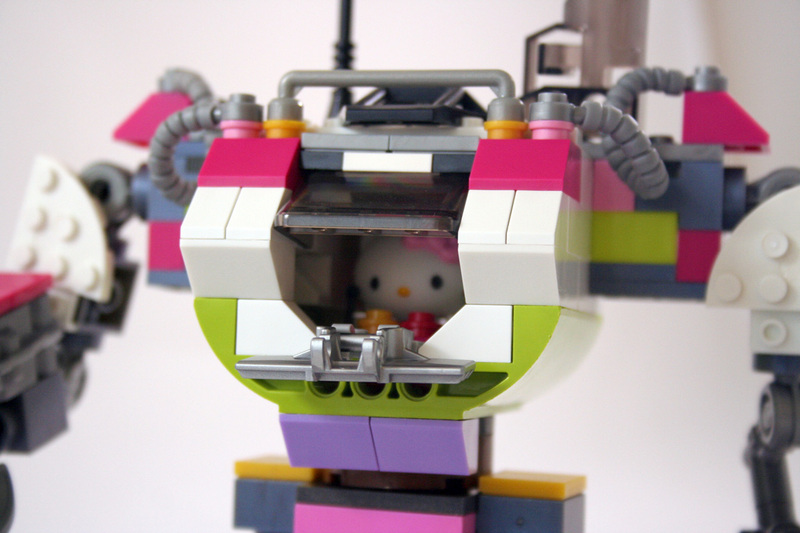 But having them in hand gives me the opportunity to make a Hello Kitty Mech. What a great way to accessorize that cute kitty by making her a harbinger of doom. Includes a cockpit that opens and closes to keep kitty safe. While I was limited on the vibrant colors to work with, due to the HK kits being somewhat stingy with pieces, I was able to cover and integrate much of the mechanical bits into the overall look. Halo Kitty.... I am right? As you can see, for building bots, these joints are a must. 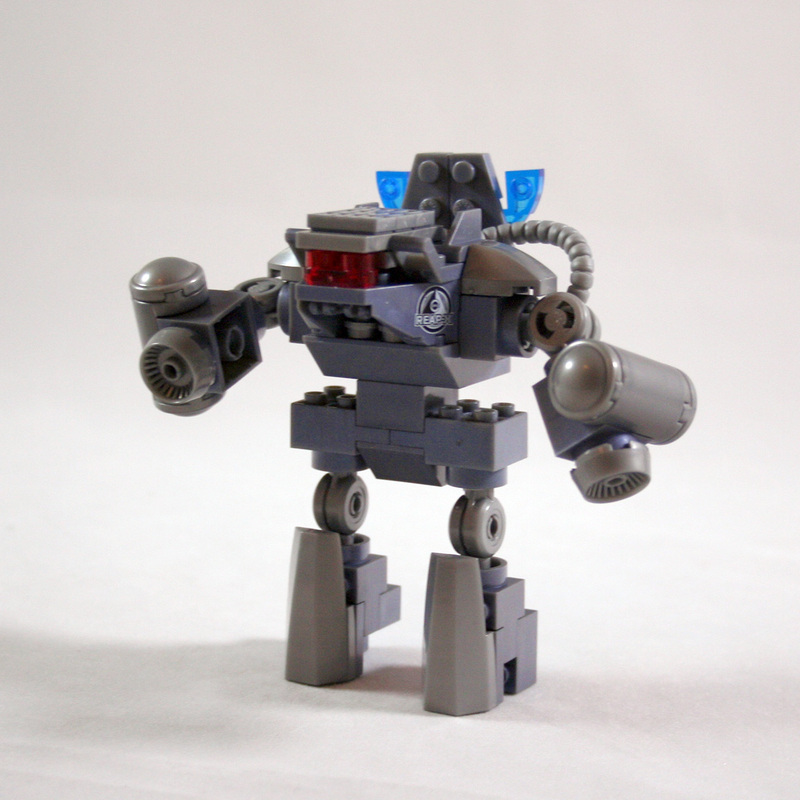 Lego has started producing something similar, but they are sparse in their kits, and they still like to rely on their ball joints. 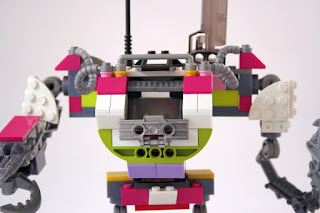 I don't care for the look of their ball joints, and of course they don't hold the weight near as well. The mantis kit is getting harder to get, but it is the most desirable of the two. The Quad Walker is however still quite plentiful and comes with some great parts.